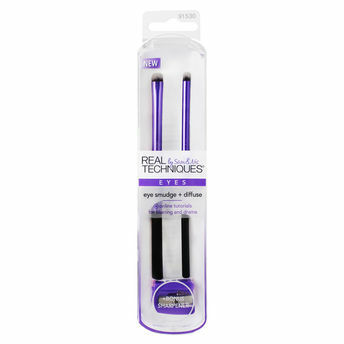 The Real Technique's Eye Smudge Diffuse Brushes are designed for expert smudging and blurring of eye makeup. These versatile brushes can be used with eye pencils or eye shadows to create a flawless, photo ready look worthy of a professional photo shoot. This set also comes with a bonus sharpener. 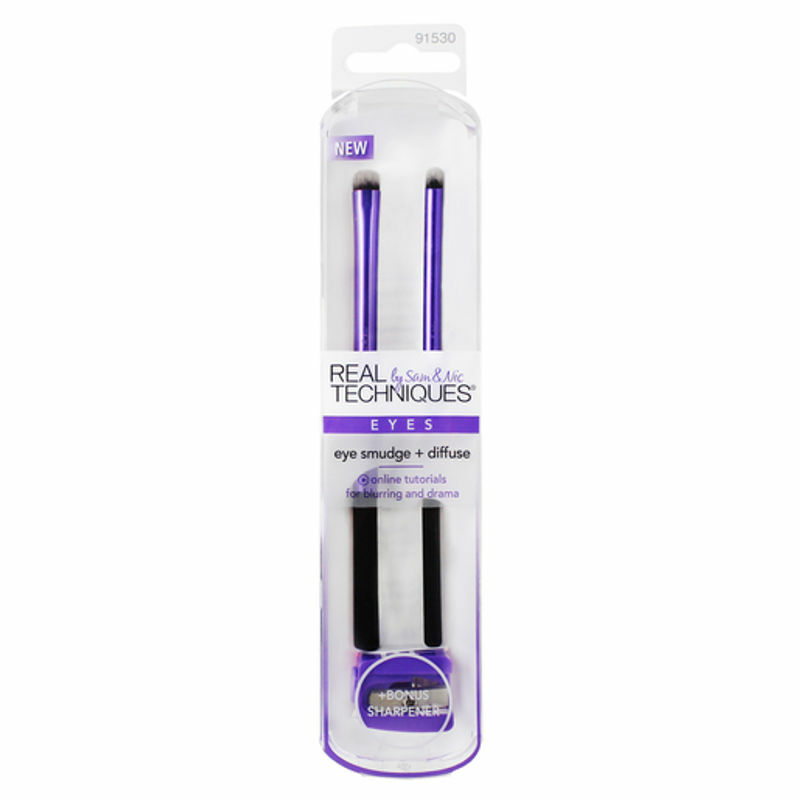 Ensure the most accurate lines from your favourite eye liner pencil before smudging. The sharpener has a removable insert to allow you to sharpen your larger pencils.